If you’re anything like us, you freely admit that the only reason you turned into American Idol for as long as you did was because of Simon Cowell and it wasn’t just for how brutal he was to the first round contestants. Despite Cowell’s dry and sometimes cruel wit, he was generally the only one on that panel who could relay any particular insight to the audience regarding the music industry itself and at the end of the day you had more faith in his opinion than anyone else on the judge’s panel. This is not take anything away from the other judges and guest judges that have graced AI over the years, but Cowell truly brought a sense of balance to the Force and if you’ve watched recently, even if you are still a fan, you can’t help but to admit that it’s become kind of a disjointed mess since his departure. Honestly, does anyone take Steven Tyler seriously at all? Now if you’re still being honest, even if you hate to admit it, Paula Abdul certainly had her place on that panel and even when she left it was like we lost a part of the family. Between her obnoxious over-the-top praising, soft-peddling, sometimes inebriated commentary and the banter between her and Cowell, it made for good television. So when we heard a couple of months ago from the T-Shirt himself that he would love to get Paula back on his new talent show, The X-Factor, and that he was actively courting her, we were excited about the prospect of two-thirds of the old team getting back together albeit skeptical at the possibility because, let’s be honest, how often do these situations pan out? 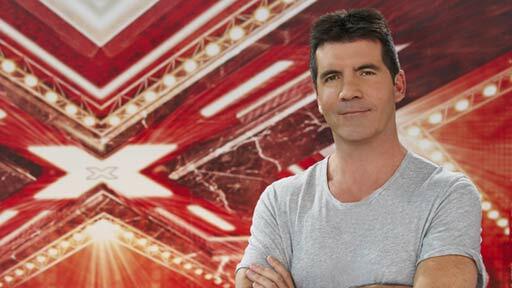 But then again… this is Simon “King Midas” Cowell we’re talking about, as well. 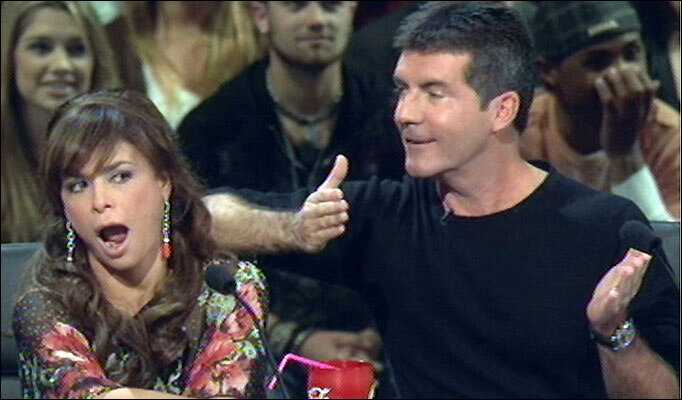 So without further adieu it gives us great pleasure to announce that Paula Abdul has indeed signed on as a judge on TXF along with Cowell, Cheryl Cole, and Antonio “L.A.” Reid. This is not only going to be great fun for fans but this is very good for FOX broadcasting as it will increase the advertising value of this show even more than we already had expected. Why should we care about that? It’s simple: the more money TXF makes, the more money FOX has to justify keeping lower rated, critically acclaimed scripted programming and it also acts as great lead-ins for the scripted shows as well, putting more eyes on them. You like your shows like Lie To Me, Human Target, Breaking In and The Chicago Code? Then, even if you don’t have any interest in reality show talent competitions you need to be rooting for TXF to make as much money as possible. FOX for some reason has decided to one-up ABC in the ridiculously long press release department so feel free to quit after the first paragraph below. This entry was posted in TV NEWS and tagged 2011, 5, a, abdul, academy, aerosmith, alternative, america, america's, american, andrew, angeles, antonio, aretha, audition, awards, bafta, beauty, boyle, breaking, britain's, broadcasting, cartoon, cheryl, chicago, chilli, choice, choreography, city, code, cole, collection, competition, contract, cot, coutaz, cowell, cuba, cwcilw, d'or, dance, darnell, deal, divo, dollars, doors, downloads, drunk, emmy, entertainment, factor, fall, fame, family, feud, five, fox, frankli, fremantle, fremantlemedia, frot, frot-coutaz, g4, gene, George, girl, golden, gooding, grammy, groups, heart, hole, holloway, hollywood, humna, idol, il, in, inebriated, influential, international, INXS, is, itunes, jackson, janet, jerry, jewelry, jim, joins, jr., jubilee, judges, jump, kelly, kids, kilmer, L.A., laker, lakers, leona, let's, lewis, lie, lither, llinares, los, magazine, maguire, make, me, media, Michael, Mike, million, morrison, most, mts, music, nickelodeon, north, nta, of, panel, paula, people, people's, pepsi, price, prince, qvc, randy, reality, recording, reid, reporter, richard, right, rose, seattle, show, simon, singers, sony, STAR, steven, susan, syco, syndicated, talent, target, the, time, to, tracey, tyler, u.k., uk, ullman, val, vandross, variety, vh1, video, vocal, walk, wall, wants, weekly, what, winner, world, x, x-factor. Bookmark the permalink.